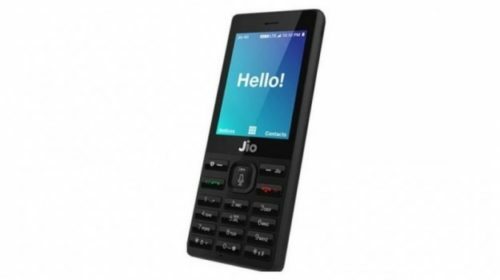 NEW DELHI, INDIA: With more than five-fold groth in the shipments, Reliance JioPhone has emerged as the clear market leader in 4Q with 27% market share in the feature phones category, followed by Samsung with 14% market share, according to a CMR report released today. The feature phone market witnessed a 36% sequential growth in 4Q 2017, and YoY growth of 62%, while the smartphone market recorded a 19% sequential decline in 4Q 2017, with 30 million units shipped. In smartphones, Xiaomi emerged as the market leader with 25% market share, followed by Samsung with 23% market share. Overall, Samsung remained the leader for 2017 with 21% market share, followed by iTel, and Xiaomi with 9% market share each. “2017 was remarkable with certain pioneering mobile handset brands like HTC, Asus and Gionee, among others, seeing worrisome warning signals, while a new breed of exciting handset brands, like Comio and NUU Mobile, among others, came to the fore. We believe this trend will deepen further in 2018,” added Prabhu. In 4Q 2017, overall 4G handset market grew by 19%. 4G smartphones declined by 17%, while 4G feature phones grew 546%. In smartphones, the 5 inch and 5.5 inch screen size together had a market share of 71%. The market for dual cameras grew by 48% in 4Q 2017. Back dual cameras had a 60% growth quarter on quarter. In 4Q 2017, Nougat 7.0 became the leading contributor with 36% market share, replacing 6.0 Marshmallow. For Apple, iOS 11 became leading contributor with 45% market share.